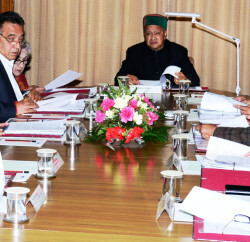 Himachal Pradesh Cabinet in its meeting decided to expand the scope of Integrated Scheme for Persons with Disabilities under ‘SAHYOG’ by making the same more beneficial to the eligible physically challenged persons and provide them better facilities of Scholarships, Vocational Training and enhancing Incentives for Marriage etc. Funds shall be provided for research and development projects on disability down to block level through various organizations and NGOs besides Universities and Medical Colleges. It has been decided to enhance Scholarship amount to the eligible disabled and provide Day Scholars scholarships ranging between Rs. 350 to Rs. 750 per month and Boarders Rs. 1,000 to Rs. 2,000 per month. The income limit to avail scholarship benefits has been enhanced from Rs. 60,000 to Rs. 2.5 lakh per annum to bring more people under the fold of the Scheme. Marriage incentives of disabled persons have also been enhanced substantially. Now marrying a disabled with 40 to 74 percent disability the spouse would get Rs. 15,000 instead of Rs. 8,000 as incentive and others with 75 to 100 percent disability the incentive amount has been enhanced from Rs. 15,000 to Rs. 25,000. In case of couple with disability both of them will be eligible to get the incentives. Outstanding NGO doing commendable job in the field will also be awarded a cash prize of Rs. 10,000 and a citation. 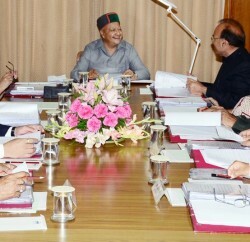 Chief Minister presided over the Meeting. Cabinet granted permission to recruit 1,293 JBT qualified teachers from 12 DIETs of the State and 20 Teachers Training Course qualified candidates from St. Bede’s College of 2008-10 batch, as per the existing Recruitment and Promotion Rules and following the reservation roster including that for ex-servicemen, on contract basis. It granted approval to construct Bus Stands at Rohru and Palampur with multi-storey parking and Shopping Mall under PPP Mode. In future the concession period in such projects would be 40 years. It approved the proposal to exempt ‘Aerial Rope Way’ for 5 years from payment of Entertainment Duty from the date of commercialization and to reduce Entertainment Duty on Aerial Rope Ways from existing 25 percent to 15 percent besides bringing DTH under the ambit of Entertainment Duty. It accepted the proposal to cancel allotment of the four Self Identified Mini Hydro Electric Projects for non-compliance of the laid down norms under the Power Policy of the State. 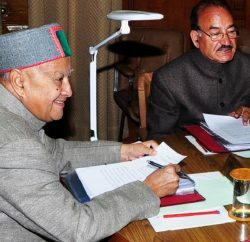 It also approved amendment in Section 26 in the Himachal Pradesh Excise Bill, 2009. It restored the 10 Bedded Hospital status to Government Ayurvedic Health Centre at Sulyali in tehsil Nurpur of district Kangra.